Digestive problems may be the worst side-effect of a delicious Thanksgiving dinner! Maybe you’ve overindulged at the table a little (or a lot!) and your stomach isn’t feeling quite right. To help ease that discomfort, certain essential oils and blends can help provide some relief. We’ve gathered a few of our favorites to share with all of you who may be experiencing some tummy troubles! 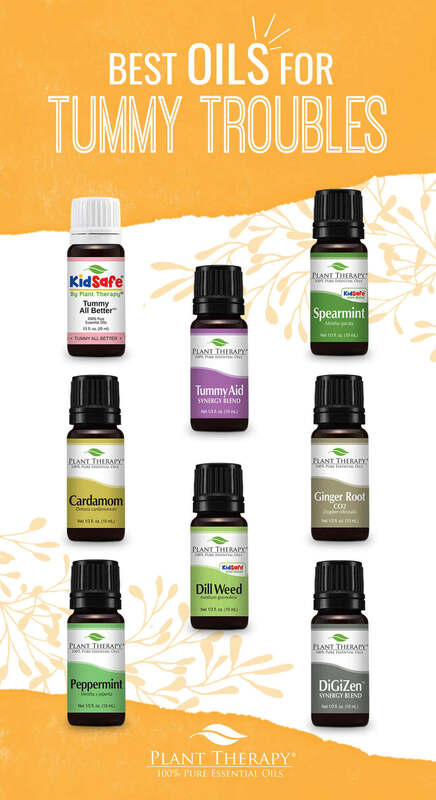 Please keep in mind that each of these essential oils and blends should be inhaled or diluted and applied topically. We do not recommend ingestion of essential oils. If you’ve been traveling this holiday, you know how it can wreak havoc on your stomach. Cardamom is calming to the digestive system and helps provide relief to those who suffer on boats or long car rides. In an inhaler blend, try 7 drops of Cardamom, 5 drops of Ginger Root CO2, and 3 drops of Peppermint. Then, inhale as needed to support an uncomfortable tummy. Peppermint is a go-to for a stomach that’s struggling to stay down! It is great to help ease muscles from cramping up, helping everything move along the digestive system smoothly. Try 3 drops of Peppermint and 3 drops of Ginger Root CO2 with two teaspoons of your favorite carrier oil and massage in a clockwise motion on the abdomen. The green, herbaceous, warm aroma of Dill Weed can be inhaled or used topically to support digestion. When stomach discomfort hits and is making you miserable, add 6 drops of Dill Weed to 2 teaspoons of a carrier oil and rub on your stomach. It doesn’t get much easier than that! Spearmint is a great choice to support digestion, especially for children, who may love the sweet, minty aroma. 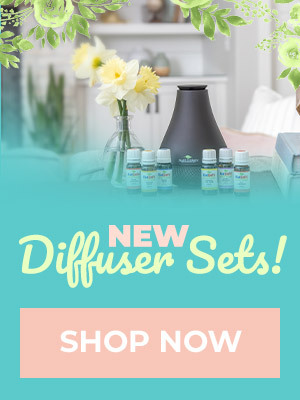 Diffuse or add 10-15 drops onto your personal aromatherapy inhaler. To relieve a queasy stomach or bloating, add 2 drops of Spearmint and 1 drop of Coriander Seed to 1 teaspoon of a carrier oil and apply to the stomach. Another great go-to for stomach upset is Ginger Root CO2. For topical use, add 1 drop of Ginger Root CO2 to 1 teaspoon of a carrier oil and massage onto your stomach. Adding 10-15 drops on a personal aromatherapy inhaler is another great way to support digestion, especially if you are out-and-about. This blend has an aroma of the refreshing scent of dill with subtle floral hints. It can help soothe occasional tummy trouble, whether it’s queasiness. Or on a long car ride or a child struggling with regularity. Inhale to help calm an uncomfortable stomach, or add 6 drops to 2 teaspoons of a carrier oil and apply to you or your child’s abdomen. 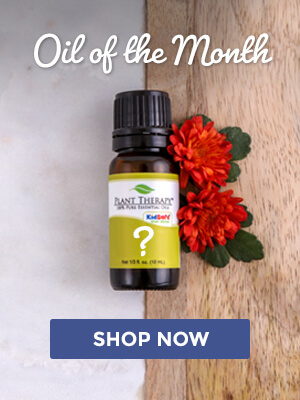 This unique blend of essential oils was formulated to help support upset stomach issues, whether it be from feeling too full or feeling a bit queasy. It has a minty-spice scent that you can add to a personal aromatherapy inhaler, or dilute to 5% in your favorite carrier oil for topical use. If you were to use 2 teaspoons of a carrier oil, that would need 15 drops of DiGiZen. Tummy Aid includes a blend of essential oils that help assist the body’s natural digestion process and to tonify the digestive system, which aids in the normal process of elimination. Inhale from a personal aromatherapy inhaler several times per day or use topically by adding 6 drops to 2 teaspoons of a carrier oil. Rub this onto the abdomen in a clockwise and down direction. Check out THIS blog to learn more about essential oils for a stomach in distress! We live one digize. It has alleviated me steal cramps, gas pain, nausea with the stomach flu and constipation pain. Some of my kids were skeptical but they now all ask for it by name and some have it in their book bags. I actually bought roller bottles for this oil and another one for headaches so we could have it with us in the car, at school or at home. Great oil! Ginger root co2 and Moldavian dragonhead have been a lifesaver for my stomach issues.i am a firm believer that these oils make me feel so much Better. I’m planning on making my own roll on. I can’t wait! Love digest aid. I need spearmint! I bet it smells great. I love putting peppermint in my tummy when I’m not feeling great! I only have single oils that are suitable for tummy trouble. But just asking, will it be less effective if we use the oil aromatically rather than tropically for tummy trouble? I’m impressed with Tummy Aid. I don’t like the smell of fennel, and dill isn’t a favorite either, but somehow together, it works with that blend. The smell is pleasant and not overpowering. And it really does help with stomach upset! I was just trying to figure out the best oil for tummy troubles, and lo and behold I found this blog post! Wonderful! Tummy issues tend to be the norm in our home. So we use Diluted Spearmint Essential Oil on our kiddos by rubbing it clockwise on their abdomen and not long after they are better. Now if our kiddos, myself or my hubby are having constipation pain like issues, we will apply Diluted Black Pepper Essential Oil on our abdomens in a clockwork fashion. After a short, the pain will subside and we are able to do our bathroom duties. blog posts, they are always so very helpful. Perfect timing for this blog with the xmas party season kicking in, hints to ease comfortableness from over eating and indulging during this season is appreciated. Two of my favorite blends are mentioned too, Tummy Aid and GiGiZen. My husband loves Digizen and Finger Root. I’ll have to try the rest of these oils on him too! I love all of these ideas! Tummy troubles are frequent in my house. But I’m kind of bummed y’all left out Finger Root! It’s my go-to tummy oil. Whether I apply topically or just sniff it for a second, it always helps! I love lists like these, so helpful! I like to print these lists and keep them as a reference with my oils so I don’t need to google it when someone in my family needs them! Thanks for the tips. I have the roll on of Tummy All Better. It does help. Used it over Thanksgiving for relief of bloating and indigestion. I love peppermint in so many ways! I have been experiencing tummy aches lately. Will definitely try these and see which one works for me. Thank you! Great info. We love tummy all better for the kids. For the adults we add peppermint oil. Usually works in minutes. Now I know where to look for stomach issue problems at my fingertips. Thank you. We do use some of these oils but will be trying some others too. Thank you. I must get Tummy Aid for my kids! I bet it really would help! I’ve just ordered Cardamom and Ginger, can’t wait to try them out! Digizen is my favorite for myself and Tummy All Better has been very helpful for my kids. 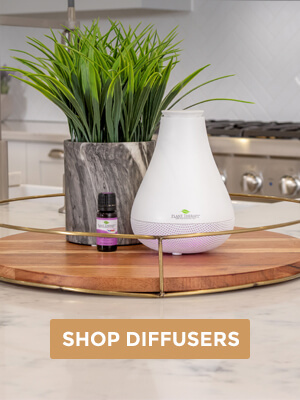 The DiGiZen is a staple in our house, but I’ll definitely try using the ginger and peppermint together with a carrier. Great information for a Momma of 4! Peppermint always helps my stomach! I like ginger and copaiba together! Yes, this is so helpful I love it! I suffer from motion sickness every time I get into a moving vehicke that I’m not driving. I am going to try some of these tips for the next time I’m riding passenger. Very helpful information! I recently started having stomach issues and this article was very helpful! My daughter has belly aches all the time. (Usually from constipation.) I’m going to try some of these and see if they help prevent it! Thanks! I love spearmint for a tummy ache, it is so light and refreshing. It seems like many of these are for aiding regularity. My little one is having the opposite problem and the BRAT diet is only helping so much. I’m guessing the oils recommended for nausea would be the best bet? I didn’t know you could use dill weed for tummy trouble. Thank you for the tips. My daughter has been having tummy issues lately. I cannot wait to try these on her and see the results. Great information! My husband loves rolling on his Digizen and we found tummy all better a great inhaler for car nausea! You rub in a clockwise motion because that’s the way your large intestines run inside your body. We love TummyAid in our family! Peppermint, Cardamom, Ginger and Finger Root are awesome for my tummy trouble. I love to use ginger and peppermint for myself. It works so well, but I have 2 younger ones that get carsick every time we’re in the car. Thanks for the great info! We love Digizen! It helps with all our tummy troubles, especially this time of year! Good to know about Cardamom! We have three in the family that tend toward car sickness! Great blog. Finger root works wonders for me. Been using Digizen for my tummy aches. Works like a charm. Sometime I put a few drops of it on my water. So far so good! WOuld like to try the other tummy recommended oils. Great article. Especially for this time of year. I like to use Dill Weed or Peppermint, and sometimes Finger Root for stomach issues. why a closckwise direction for applying the tummy aid?